Record Store Day is this Saturday. To find your local participating store click HERE! Paul announced today he will be releasing 'Maybe I'm Amazed' on Saturday 20th April to celebrate this year's Record Store Day. The live version was originally serviced as a radio-only promotional 12" vinyl single back in 1976 to herald the release of Wings Over America. 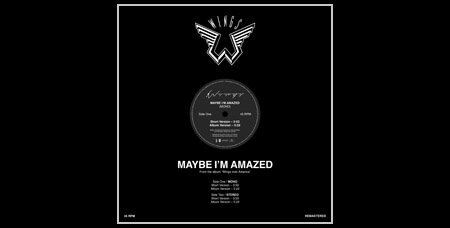 The limited edition 12" is being reissued exclusively for Record Store Day and faithfully reproduces the original release featuring both stereo and rare mono mixes of the classic Wings song. 12-12-12: Tickets On Sale Now! 'Live Kisses' - Out Now! U.S NEWS: Buy A Bunch, Get A Kiss! News & Interviews From The Road! 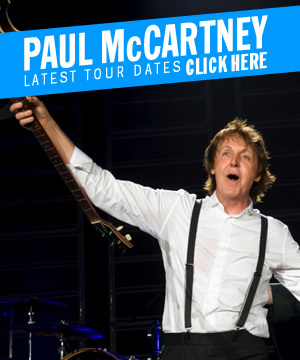 ‘On The Run’ dates sell out! Good morning guys, wake up! Ever Present Past - Out Today! ICA Live EP - Out Today! MAF - Hits the US Today!